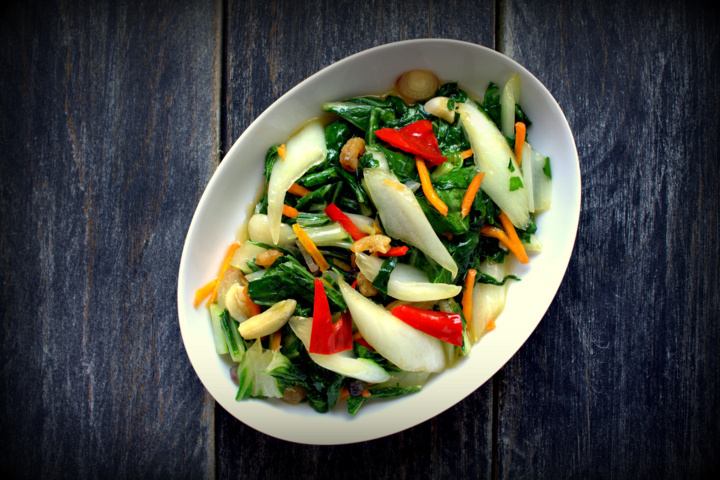 Combine bok choy, red bell pepper, and scallions in a large bowl. In a smaller bowl, whisk together red pepper flakes (or chile paste), mustard, apple cider vinegar, garlic, ginger, xylitol (or erythritol), salt, and oil. Pour this spicy dressing over the chopped vegetables, and toss well. Refrigerate for 1 hour, then toss again. Taste salad, and add more chile paste, salt, or sugar to taste before serving.